Viva the gender revolution! As we evolve so does our idea of gender so thank goodness for ongoing conversations on the topic. Like Lauren Lubin’s new film We Exist: Beyond the Binary which explores life outside the gender binary. Lauren’s work shatters traditional, antiquated constructs that defines gender as either male or female. Lauren identifies as gender neutral and uses they/them/theirs as their pronouns. Lauren says,“One of the most valuable assets that has helped me to fully come into my own is unequivocally education. Education is knowledge and it is such knowledge which has empowered me to understand myself as well as another. 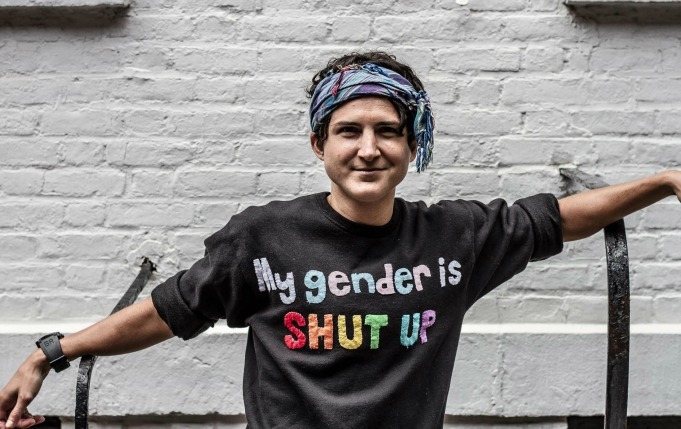 Gender identity and expression are two important components of a well-rounded education. I hope to shed light on both the importance and inclusion of having such education throughout the education system and simple ways we can begin to do just that.” The film will step into the spotlight as it kicks off Boulder Pridefest with two exclusive screenings on September 6 in Boulder. Lauren is also an avid runner and athlete. They made headlines in 2015 with their“WE RUN” campaign by becoming the first ever non-binary Marathoner, to come out and openly compete on the international stage in efforts to raise recognition in the sporting world. In November 2016, Lauren will be the first non-binary Marathoner to compete in the coveted New York City Marathon. Lauren is also the founder of New York City’s first non-binary running group, Andro Runners, which is dedicated exclusively to non-binary athletes. For more information on the screenings of We Exist and Boulder Pridefest visit the website here! 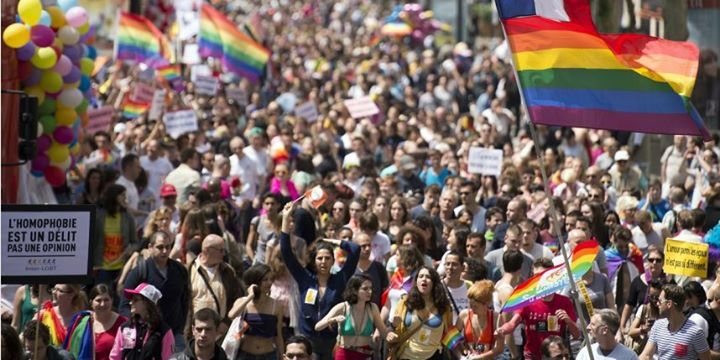 For the first time ever, Inter-LGBT, the group that organized the annual event, allotted the most prominent spot in the parade, which is usually reserved for politicians and celebrities, to emphasize trans rights. French Culture Minister Audrey Azoulay and Paris Mayor Anne Hidalgo were among the prominent politicians who took part. “Our city will always be a bulwark against homophobia because openness and tolerance are part of its DNA,” Hidalgo told Têtu, a French gay magazine. Despite recent terrorist attacks in Paris, the city of lights wanted to celebrate pride. A shorter parade route and beefed up police protection were a few of the precautionary measures Paris took to make sure the parade was safe. Bolter told the Blade that this year’s parade reinforced the necessity of equal protection under the law for LGBT people. Other notable politicians marching include Ontario’s premier, Kathleen Wynne, and the mayor of Toronto, John Tory. The parade wraps up a month of Pride festivities in Toronto, which saw entertainment heavyweights like George Takei and Lindsay Lohan participate. But the month has also been shadowed with grief. In early June, 49 people — who were predominantly LGBTQ people of colour — were killed in a mass-shooting at the Pulse nightclub in Orlando, Fla. The month’s celebrations were dedicated to the victims of the massacre, and there will be a moment of silence during today’s parade to remember them. 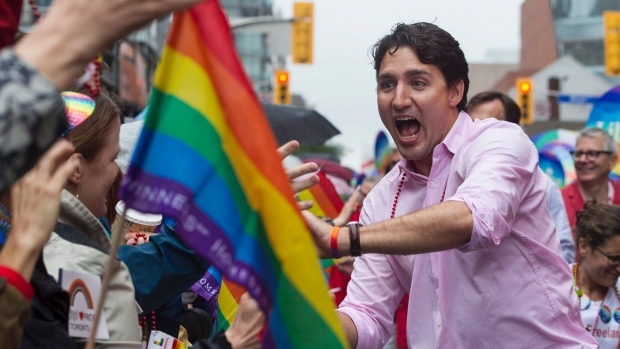 Shots of Trudeau at Pride have flooded social media since the parade. From LGBT police officers to parade entertainers, everyone wanted a picture with he prime minister. No one was more thrilled to snag a photo with Trudeau than Bassel McLeash, a gay Syrian refugee. McLeash expertly photo-bombed the Prime Minister and now his story has gone viral too! 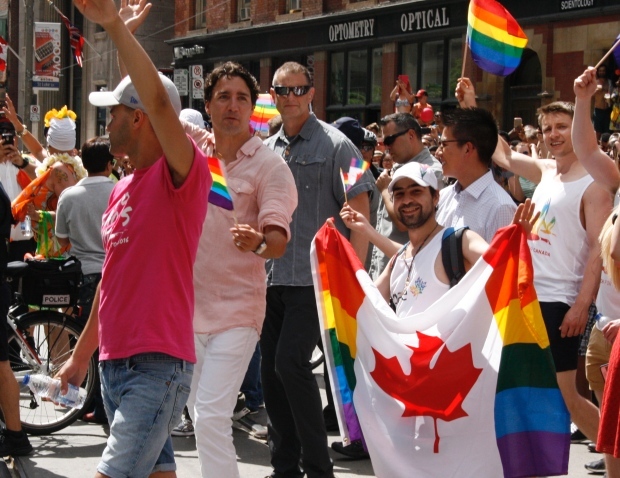 “Not in my wildest dreams would I ever have thought about having a day like this, marching next to the prime minister or marching in a Pride,” he said in an interview with CBC. Is there a better time than now during Pride month to celebrate LGBT leaders and activists? We think not! Today’s Monday Meme celebrates a true pioneer in not just the civil rights movement but in the gay rights movement too. 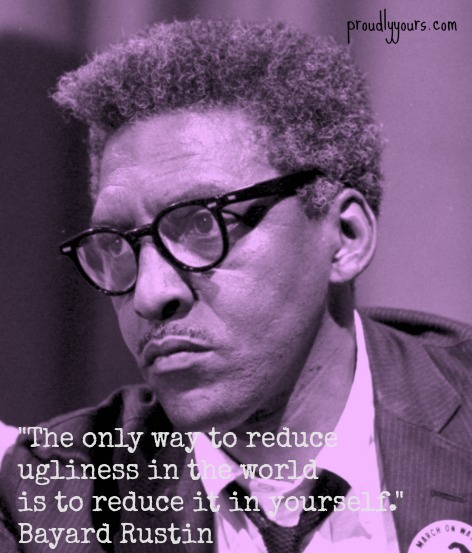 Bayard Rustin is best remembered as the organizer of the 1963 March on Washington, one of the largest nonviolent protests ever held in the United States. Rustin was inspired by Gandhi’s protest techniques and brought them to the American civil rights movement, while helping Martin Luther King, Jr. become an international symbol of peace and nonviolence.Being an openly gay man in an incredibly homophobic era, Rustin was beaten, imprisoned and cast out of huge leadership positions. His behind the scenes work during the civil rights movement in the 1960’s gave way for a role as a public advocate of LGBT causes in the 1980’s. Rustin was honored posthumously with a Presidential Medal of Freedom in 2013 by President Obama. Celebrate Pride and do something good for the community! Now thru June 30, Proudly Yours will donate 50% of the proceeds of all card sales to the Pulse Victims Fund. What a delicious and inventive way for a brand to celebrate Pride! 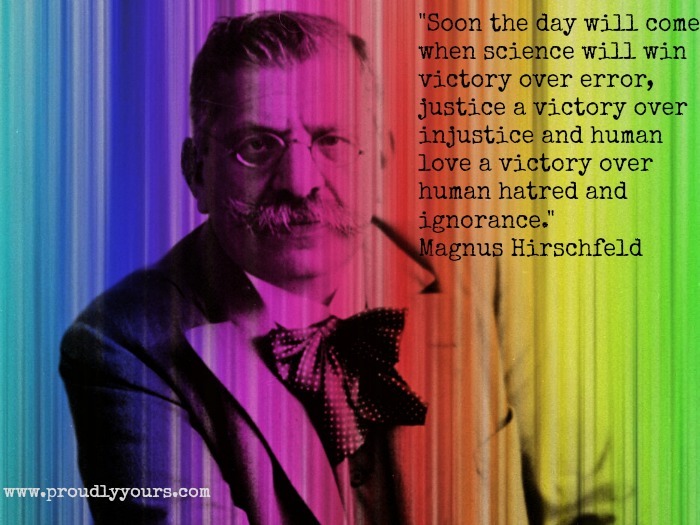 As part of Pride month, we’d like to give a shout out to gay trailblazer Magnus Hirschfeld in today’s Monday Meme. As a homosexual and a Jew, Hirschfeld was advocating gay rights back in the late 1800’s. Hirschfeld spoke out against the German government and pushed for the legalization of homosexuality long before it was even a conversation in most parts of the world. As a sexologist and researcher, he published volumes on homosexuality, gay rights and equality for women, many of which were later burned by the Nazis. Hirschfeld died in Nice, France in 1935 but the groundwork he set down as an early LGBT pioneer won’t ever be forgotten. Buy a Proudly Yours card now until June 30 and we will donate 50% of the proceeds to Equality Now to help the victims of the Orlando attack. 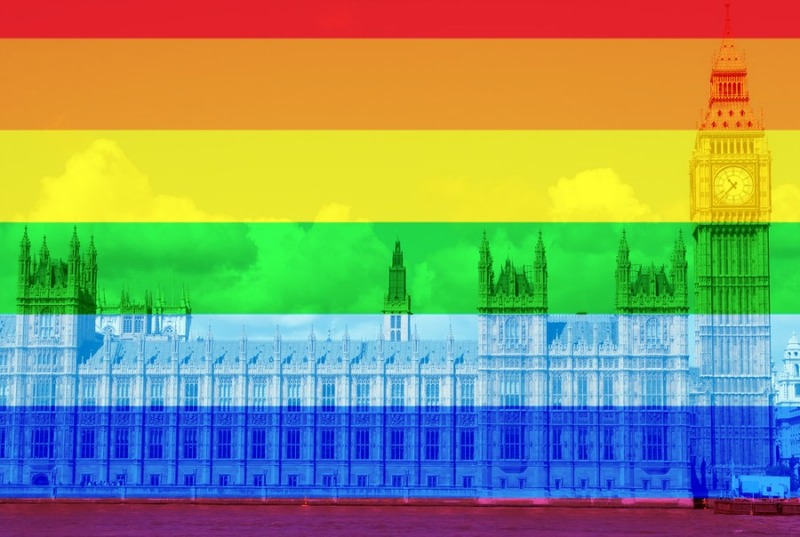 It’s that time of year–Pride Month! And even the White House says so. 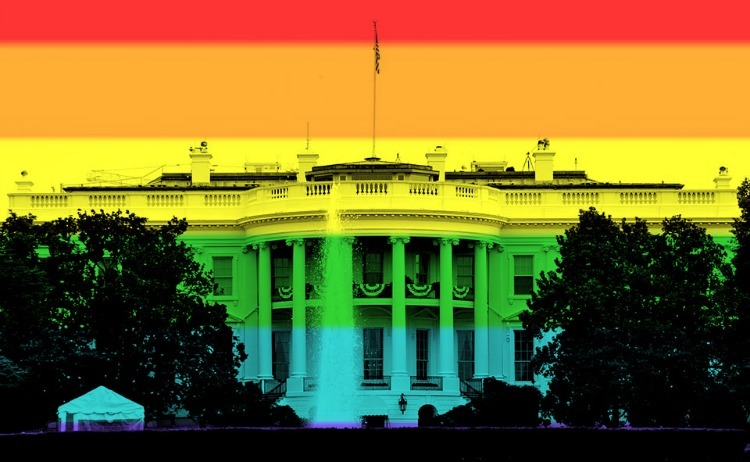 In his annual proclamation, President Barack Obama declared June 2016 LGBT Pride month. “NOW, THEREFORE, I, BARACK OBAMA, President of the United States of America, by virtue of the authority vested in me by the Constitution and the laws of the United States, do hereby proclaim June 2016 as Lesbian, Gay, Bisexual, and Transgender Pride Month. I call upon the people of the United States to eliminate prejudice everywhere it exists, and to celebrate the great diversity of the American people,” the president wrote in an official White House Proclamation. In this proclamation, the president spoke passionately about his administration’s commitment to LGBT rights. The legendary Stonewall Inn, the Greenwich Village bar at the center of the gay-rights movement, was granted landmark status last year but according to the Associated Press the Obama administration plans on naming the bar the country’s first national monument for gay rights. Per the New Yorker, Obama is, “considering proposals that would involve cordoning off Christopher Park, a small sliver of land near Stonewall Inn, and surrounding areas.” Federal officials are travelling to NYC next week to discuss the proposal while city officials iron out the details of the land’s title. 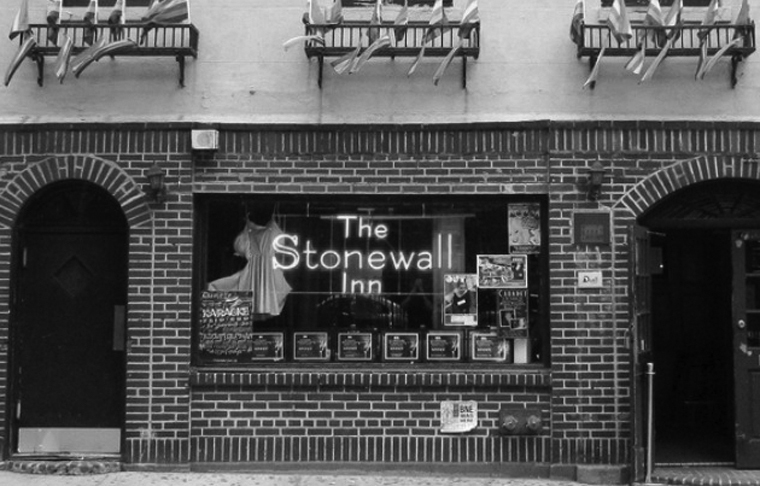 If no complications arise, the Stonewall Inn should be declared a national monument in June, just in time for Pride month and the city’s famous parade. 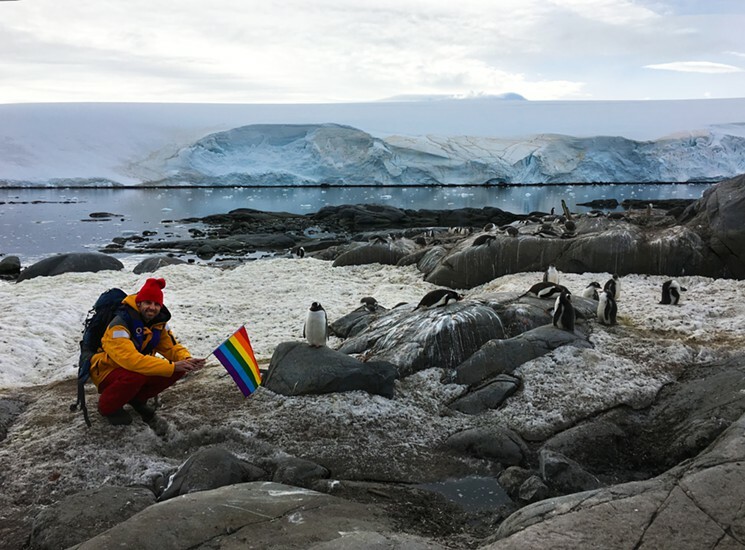 Non-profit organization Planting Peace has declared Antarctica the world’s first LGBT-friendly continent. Planting Peace hopes to “instill full fundamental rights to LGBT people inhabiting or visiting the continent of Antarctica.” Founder Aaron Jackson has set social media ablaze recently with images of him travelling around Antarctica carrying a Pride flag “to raise awareness for the need for action across the planet because basic rights are still denied to the LGBT community in so many countries across the world.” The group wants to shed a light on the 76 countries which continue to ignore the United Nations Declaration of Human Rights, six of which still consider homosexuality a crime punishable by death. 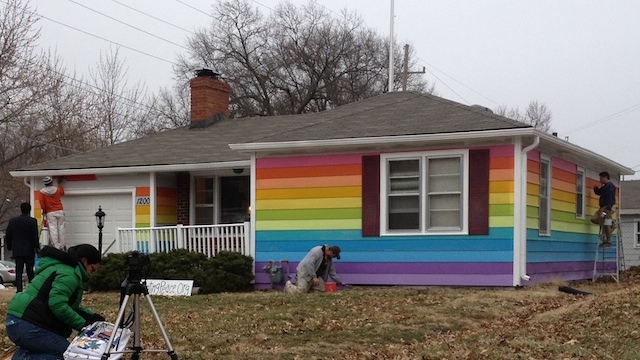 Jackson and company first made headlines a few years back when they purchased a house in Topeka, Kansas directly across the street from Westboro Baptist Church and painted it in the colors of the Pride flag.